Wow...where did November go?! It's the last day of the month and it's Wednesday, so that's the cue to see what colors are on board for the Color Throwdown Challenge! Lynn has some great colors for us...perfect for another Christmas card. 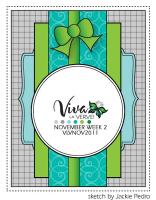 I used Tosh's Viva la Verve sketch from week 3 for my layout. 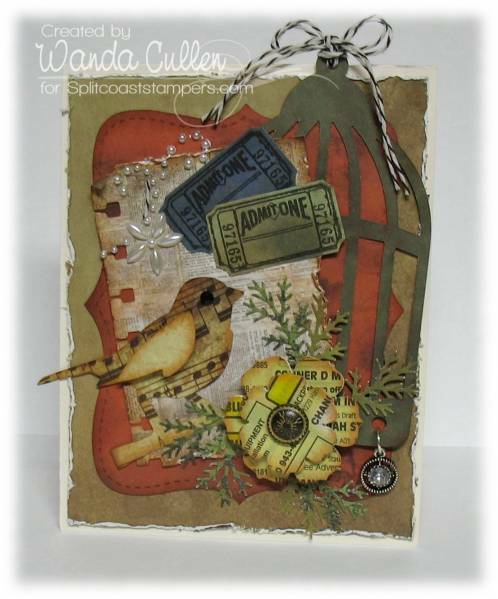 I wanted to initiate some new goodies from Lil' Inker Designs and am loving this sweet chubby tree die as well as the holly/berries dies! I added Stickles to the tree and Crystal Effects to the berries. Be sure and check out the creations of the rest of the design team! 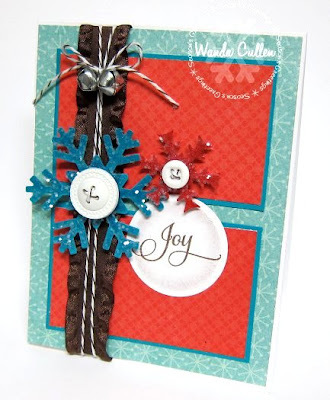 ACCESSORIES: Snowflake EF, Jingle bells (Mike's), Baker's twine, Mat Stack die by PTI, Tree, holly & berries - dies by Lil' Inker Designs, Pine Needles Trim punch by MS, Christmas red Stickles, Crystal Effects. 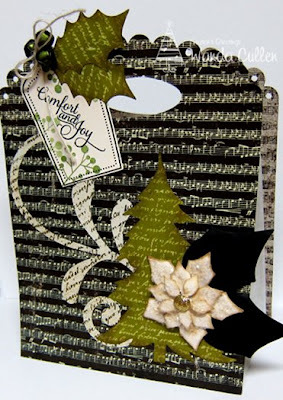 Another card for my Christmas stash...I mixed papers from K&Co's Yuletide Card Making Pad and used the new Verve Winter Tree Plain Jane and matching die. 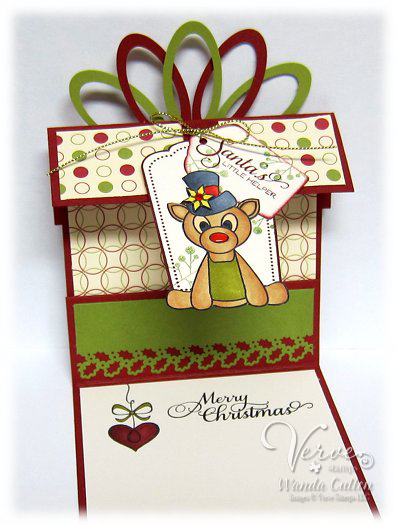 The rectangle element was die cut with Verve's Rounded Scallop Frame die. Crystal coarse glitter by Martha Stewart was added to the trees. The bow was made from wire edged cording found in the holiday ribbon aisle at Michael's. 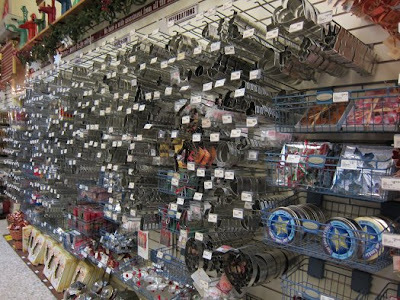 The bells were also a "find" at Mike's. This card layout uses Julee Tilman's great Mojo Monday sketch for the other week. The sentiment is from Verve's new Santa's Helper set. This was a shot just inside the front door with our oldest son and his wife posing. 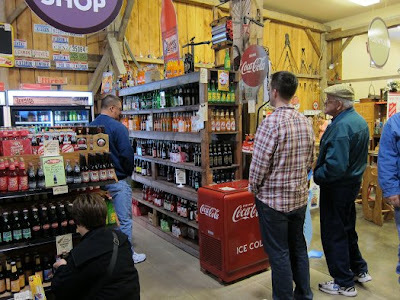 Next area was the Pop Shoppe which took me back in time with its multitude of old time sodas available for purchase. They were missing one of my fave flavors - Grapette - but had a Grape Crush that was similar. There were SO MANY kitchen accessories...lamps...baskets...just not your typical hardware store! For more details, check out their web site HERE and take a virtual tour! Just a few miles further down the road, we visited Toyrifix in Smithville, where I met up again with Tammy Hershberger...fellow dirty girl and DT leader on the Color Throwdown team. Though the visit was short...it was sweet and I got to add some more stamping "toys" to my collection! OK...so enough of my personal happenings...I'm sure you really stopped to check out the free digi that Gina K. Designs has for us. I don't have a card made with it yet, but wanted to go ahead and share it with you if you're interested. To download the image, you'll want to CLICK HERE. That's all for now...off to finish unpacking and start up the washer! For my American friends who celebrated Thanksgiving yesterday, I hope you had a blessed day! 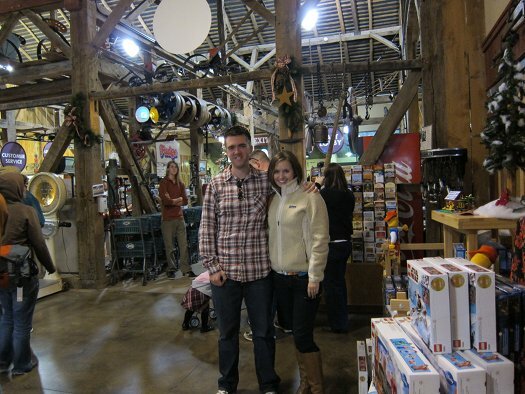 I had a wonderful time getting together with my family in NE Ohio and today we are among the MANY people who are out and about on Black Friday! Today also marks the start of another Raise the Bar challenge and Joni has asked that we use "thanks" or "gratitude" somewhere on our card. I love the fonts that Julee Tilman used on this Verve Plain Jane and it's such a timely verse...not just for this season but for every day! I cut up the leafy flourish so I could arrange it to fit better on my card. 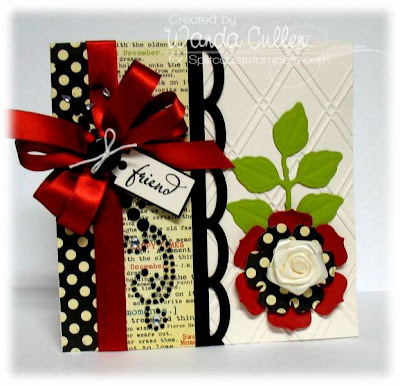 It's a simple layout using these yummy papers by My Mind's Eye. PAPER: Lost & Found Two "Breeze" pad by MME, Aqua Mist and Vintage Cream by PTI. INK: Noir Black Palette hybrid ink pad. 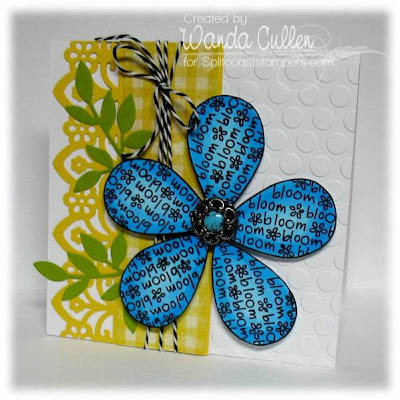 ACCESSORIES: Corner chomper, Aqua Mist satin ribbon by PTI, Vanilla vintage flower adornment by SU, Cheery Lynn Designs Fanciful Flourish die, Trim - ? source, MS tiny hearts border punch. ACCESSORIES: Polyester ribbon by The Ribbon Boutique, Baker's twine (SU), 10mm jingle bells (Mike's), Large snowflake punch by EK Success, Small snowflake punch (? 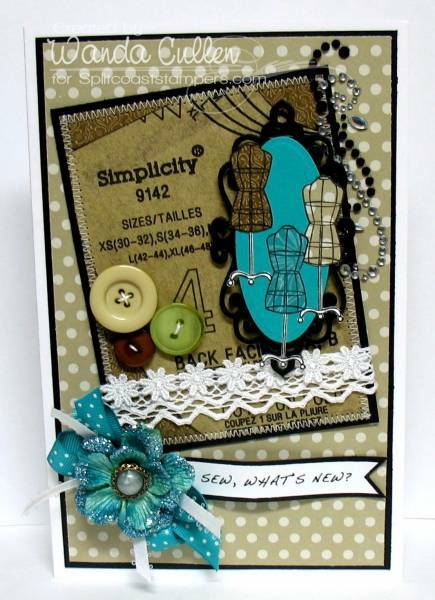 ), Circle Nestie, Vintage buttons by PTI. This one has lots of text...including real yellow pages from the phone book! My "anything but a card" contribution was this decoupaged frame to highlight the street rod that my husband restored! This is "one bad ride" - lol! 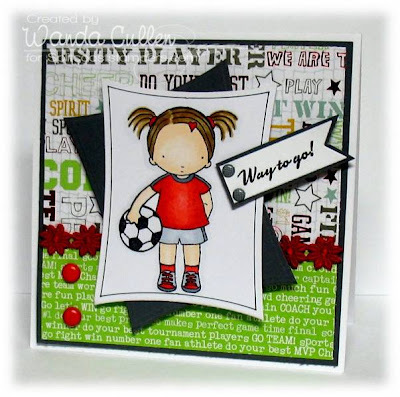 Thanks for stopping by...hope you enjoyed the June DD review of cards! It's Friday, so that means there is a new Raise the Bar challenge! 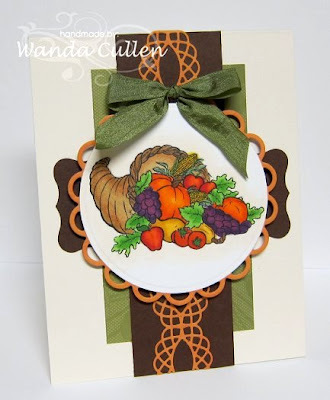 This time we are to use food images...preferably Thanksgiving-related. I realized I don't have any food stamps (either rubber or welfare - lol), so thanks to Google images, I was able to computer generate this fruit and veggie-filled cornucopia. I colored with Copics and used one of this month's Viva la Verve sketches. I'm thinking this card will be good to send to my one brother and SIL who will be hosting the family for Thanksgiving dinner this year. 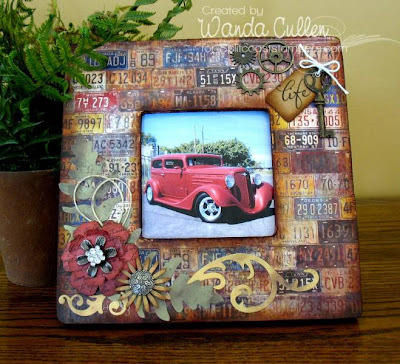 For more samples for this theme, be sure and check out the guest designers as well as Thanh and Joni's samples from the DT HERE! 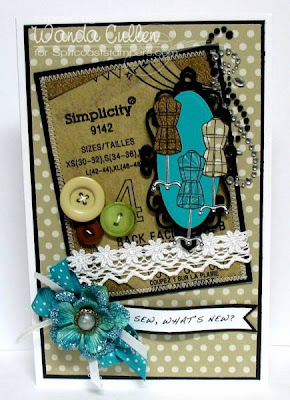 ACCESSORIES: Circle & Lacey Circle Nesties, Dizzy scallop border Die-Namic by MFT, Curly label punch by SU, Olive wrinkled ribbon from Sharon Johnson's store. It's Wednesday and that means there's another Color Throwdown Challenge up for grabs! Keva has some interesting colors that I'll admit had me stumped for awhile, until I saw the Mojo Monday sketch challenge. I loved the simple sketch by Debbie Carriere and went with my fave new die - Spellbinder's poinsettia - to crank out another Christmas card! I sponged the edges with Elegant Eggplant ink then curled the edges slightly with the ball end of a petal roller. The sentiment is one of the new elegant fonts from Verve's Bright Spirits set. 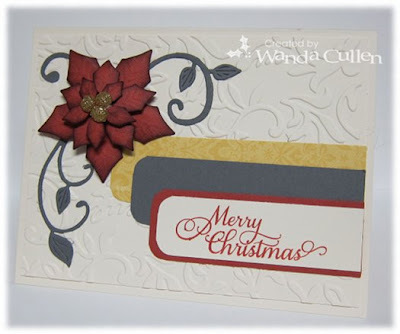 The Vintage cream base was dry embossed using the Victoria CB EF. 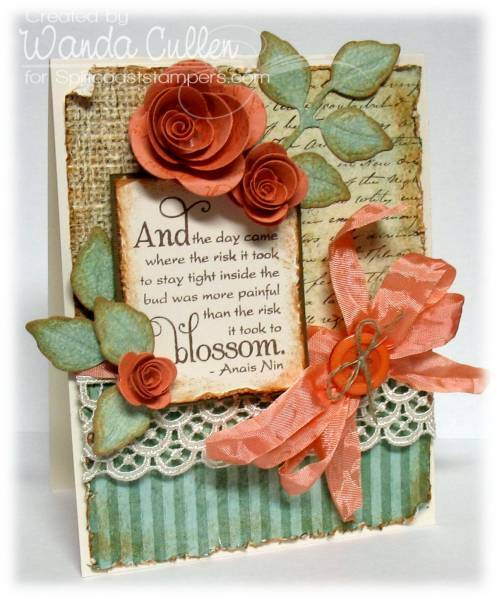 The gray leafy flourish die is from Cheery Lynn Designs. Thanks for stopping by and be sure to check out all the other CTD samples by the fabulous design team! This month's Get Your Diva On contest in the Verve forum is hosted by my BFF, Teresa Kline, and she's got a nice broad challenge for us! It's called Celebrate The Season and we can be inspired by the Christmas tree in the inspiration photo...what goes on it, under it, etc. 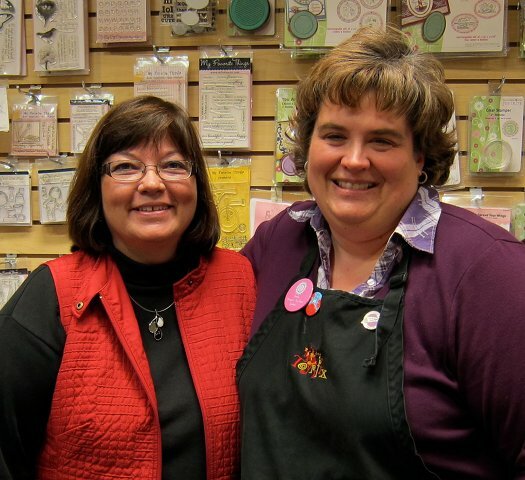 Make an ornament, make a gift, gift wrapping, gift card holder or a card to send at Christmas. SO many possiblities for this challenge! 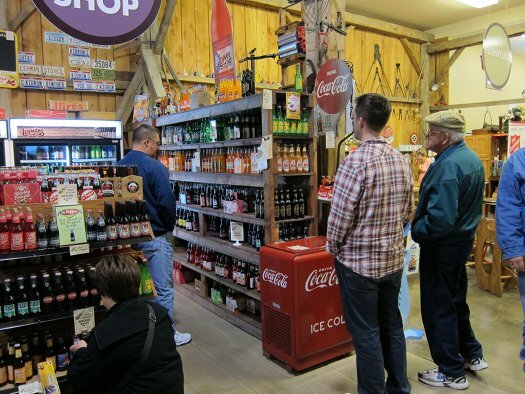 The big WOW factor is that Julee will pick someone's entry and they will win $100 in Verve! I knew right away I wanted to create a gift bag using PTI's new front and back die. This can be adhered to a plain white or kraft paper bag and is so fun to "dress up"! The poinsettia was die cut from Vintage Cream CS; edges sponged with Soft Suede ink then curled with the roller tip of a petal roller tool. The tree, flourish & holly leaves are new (to me) dies from Sizzix. All DP is from 7 Gypsies avignon paper pad. Thanks for stopping by....it's a cloudy day with rain in the forecast here in VA. Welcome to our final Holiday Spotlight Hop! 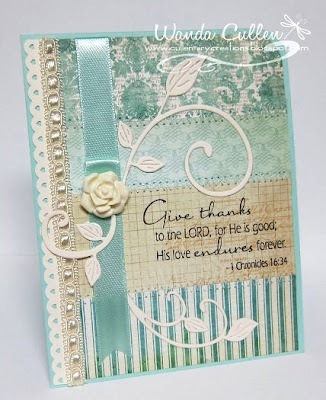 Last night we released 2 new stamp sets, 5 plain janes and 6 dies to coordinate with new and old Verve holiday sets! All of the new products we've been showcasing this week are available now in the Verve store! 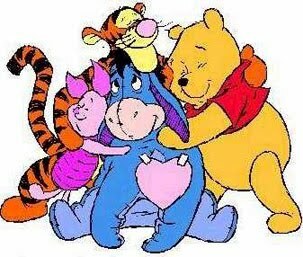 Be sure to leave a little comment love as you take one last stroll through the Diva and Guest Diva blogs. One lucky commenter from today's hop will win the ENTIRE Release! Check out the Verve Blog today for all the prize details and deadlines. Hopefully, you joined the Verve fans and Divas last night at the release party...always a fun time! I had a great time being a guest Diva and want to thank Julee and all the Divas for making me feel so welcome! After seeing a number of these sweet gift card holders throughout blog land, I found a tutorial by Marie for step by step directions. Check it out HERE. I tend to give more gift cards now that our three children are grown, so ideas for holders are always welcomed. So many new goodies and you could win them ALL by commenting on each of the Divas' and guest Divas' blogs! Good luck and thanks so much for stopping by! Verve Peeks Day 3 AND Release Day! possibilities for showing him off! 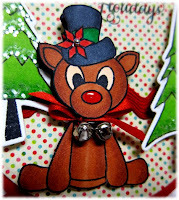 I created an ornament to spotlight "Rudy"...not sure if Julee named him yet, but with his Crystal Effects nose, I thought he looked like Rudolph - lol! The winter tree images were colored with Copics, die cut, popped with foam dots and highlighted with coarse glitter. 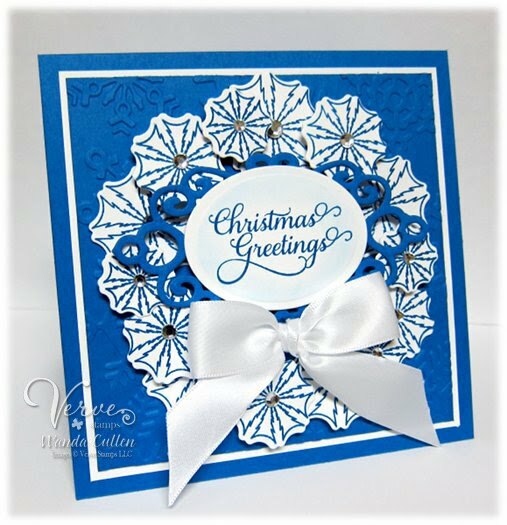 no more fussy cutting needed with these snowflake images, thanks to the new die! Some of the snowflakes are popped with foam squares to add dimension. ACCESSORIES: Frosty Snowflake Die Set (Verve), Large Classic Oval Nestie, Large Circle Nestie, Fancy Tags Two (Spellbinders), Rhinestones, Bow-Easy template, Satin ribbon, Snowflakes EF by Cuttlebug. 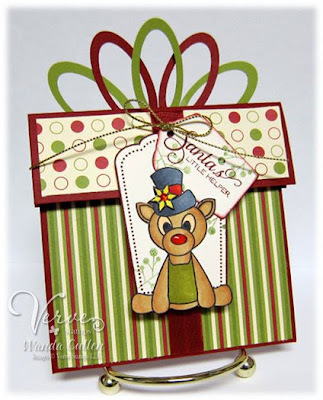 STAMPS: Santa's Helper, Winter Tree PJ - Verve. PAPER: 12 Days of Christmas (My Mind's Eye), Real Red, Neenah Solar White. INK: Memento Tuxedo Black.ACCESSORIES: Winter Fun Die Set (Verve), Rickrack, Lacey Circle & Small Circle Nesties, Crystal Coarse glitter by Martha Stewart, Crystal Effects, Jingle bells (SU), Silver wire, Satin ribbon, Kaiser silver pearl, Copics (C5, C7, 110, YG25, YG17, E15, E17, E00, R24, R29). Last but not least...here's the hop list! Thanks for stopping by and good luck with commenting...you just may be the lucky winner of some free Verve! 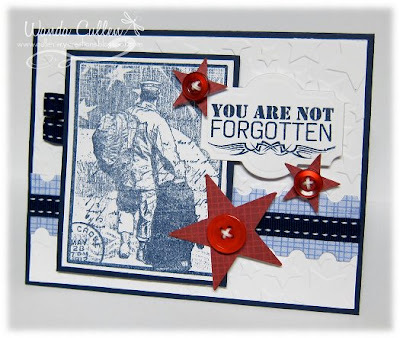 This is a special day when we pay tribute to our veterans, so the ladies at Raise the Bar are challenging you to create a patriotic card. I love this ODBD image designed by Dina Kowal...so easy to use for a monochromatic card! 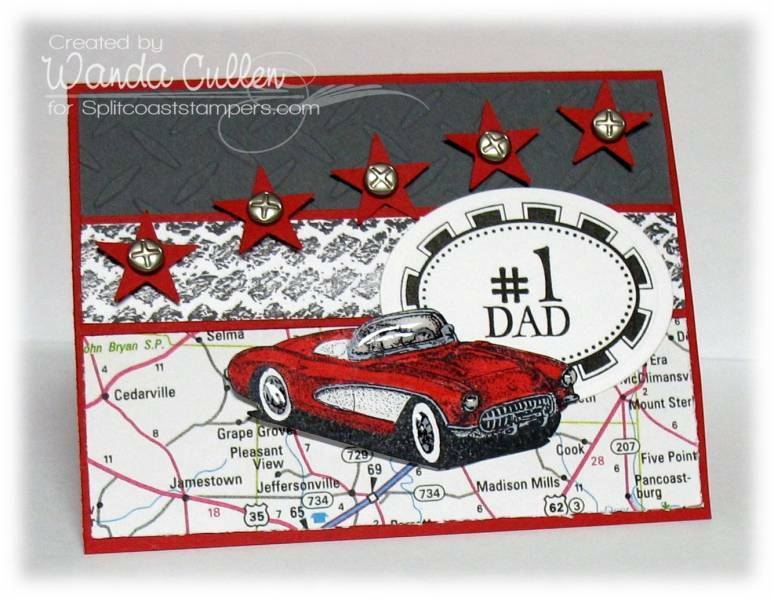 The BG was embossed using a CB stars EF. ACCESSORIES: Star punches by SU, Stars EF, Navy ribbon, Vintage buttons by PTI, Postage stamp Die-Namic. You don't want to miss the great cards created by Joni and Thanh on the Raise the Bar blog! Check them out HERE. 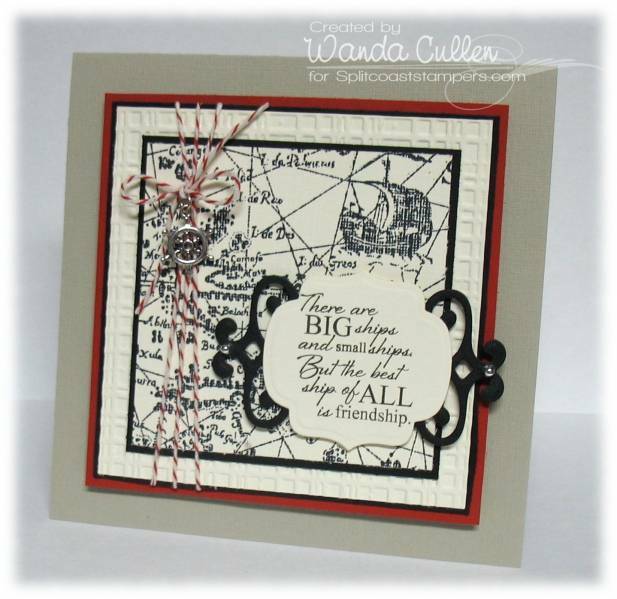 I paired it with a fave tag die and added some sprigs from Verve's Merry Wishes set. 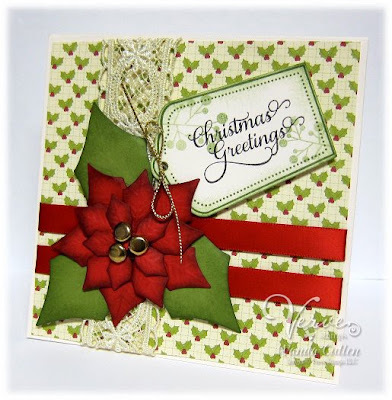 The poinsettia is a fun new Spellbinder's die with edges sponged with Rich Razzleberry and Old Olive inks. The rounded tip of the petal roller tool was used to curve the edges of all leaves/petals. My next project is a set of 3 x 3" gift card enclosures with a variety of fun little images from Bright Spirits and the Winter Tree PJ! Here's the hop list so you can check out more new creations by all the Divas! Be sure and leave a comment on each blog for a chance to win free Verve! ACCESSORIES: Layered Poinsettia by Spellbinders, Brass brads, Lace, Pure Poppy satin ribbon (PTI), Sweet Scallop Tag die (Verve), Gold cording. 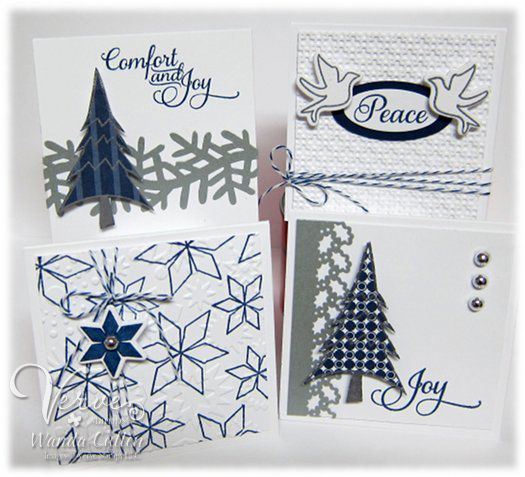 STAMPS: Winter Tree PJ, Bright Spirits - Verve. PAPER: Night of Navy (SU), White (PTI), Silver Metallic CS, DP by SU. INK: NIght of Navy (SU), Versamark. ACCESSORIES: Baker's twine, Kaiser silver pearls, Square lattice EF by SU, Holly border punch by Martha Stewart, Pine Needles Trim deep edge punch by Martha Stewart, Snowflakes EF by Cuttlebug, Winter Fun Die Set (Verve), Love Birds Die Set (Verve). 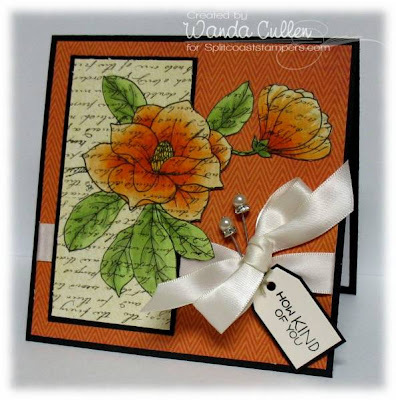 It's Day 1 of Verve Sneak Peeks!